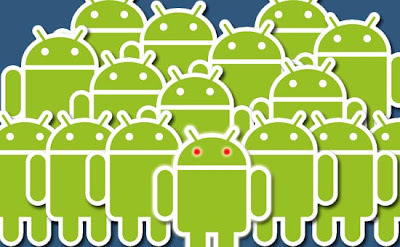 Google's Android platform now represents 17.2 percent of the global smartphone market, overtaking Apple's iOS as the world's third most popular smartphone OS and edging past Research In Motion's BlackBerry to emerge as the top-selling OS in the U.S. according to new data published by research firm Gartner. Worldwide sales of Android-powered devices topped 10.6 million in the second quarter of 2010, up from just 756 million just a year ago, at which time Android made up only 1.8 percent of the global smartphone market. Gartner reports that global smartphone sales totaled 61.6 million units in Q2, up 50.5 percent year-over-year. Symbian remains the leading smartphone OS worldwide, controlling 41.2 percent of the market (down from 51 percent a year ago), sales of Symbian devices topped 25.3 million in the second quarter, up from 20.9 million in Q2 2009. BlackBerry unit sales exceeded 11.2 million (up from 7.8 million a year ago), with the platform representing 18.2 percent of the worldwide market, off from 19.0 percent. Sales of Apple's iPhone surpassed 8.7 million, with iOS now making up 14.2 percent of the market in Q2 2009, consumers purchased 5.3 million iPhones, translating to 13.0 percent market share. Microsoft's Windows Mobile took the biggest hit: Sales slipped to 3.1 million from 3.8 million a year ago, corresponding with the platform's market share plummeting from 9.3 percent in the second quarter of 2009 to 5.0 percent in the most recent quarter. For more on worldwide smartphone sales, check this release.